It's time again for the biggest BMW motorcycle rally this side of the Mississippi! 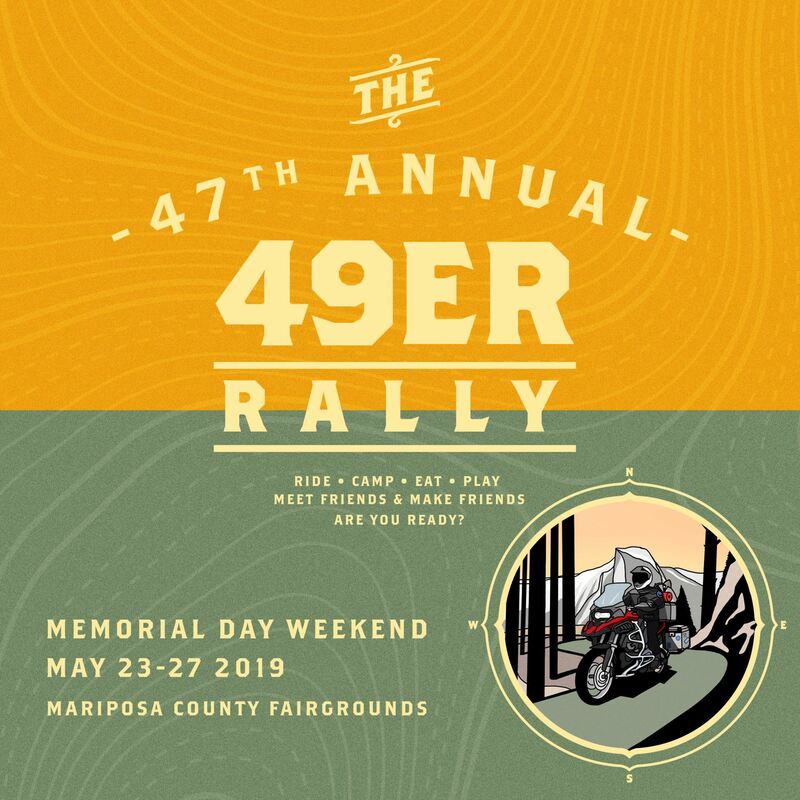 The 49er Rally is the BMW Motorcycle Club of Northern California's annual Memorial Day Weekend rally, with 47 years of tradition that predates the BMW Motorcycle Owners of America's (MOA) National Rally. (In fact, the first MOA Rally was held at our 49er Rally!) This is the West's premier BMW Rally! If you are a vendor or speaker (or would like to be) and have questions about the 49er Rally, please click here to email Hugo Bonilla, the 49er Chair.